This week there are points on offer for taking the moral high ground on the podium, for playing tennis and being graceful in defeat, and for both the Force India boys who spent time in karts, but for very different purposes. With just two weeks left after this, Daniel Ricciardo remains in the lead of the 2014 Rankings Championship, but Lewis Hamilton is hot on his heels. Just as with Formula One, there are double points available in the final week, and that means the title could still be anyone's for the taking! Get your suggestions in and see who can be crowned this year's rankings champ! +1 Nico Hülkenberg: Spending some time karting with Rubens Barrichello, and as he puts it "getting back to the roots". +2 Nico Rosberg: Epic smug face during his super slo-mo recap of the Brazilian Grand Prix victory. Particularly the reaction to Hamilton closing up to him after the spin. +1 Susie Wolff: For keeping on keeping on, such determination to the fitness cause, particularly without a drive to be working towards. +1 Max Verstappen: Admitting to losing a tennis match against Giedo van der Garde. I'd pay good money to see our F1 stars playing tennis, you know. -1 Romain Grosjean: I don't know much about much, but this isn't such a good look as I would have hoped. +2 Sergio Pérez: A good video with a responsible message but am I the only person wondering how many takes it took? 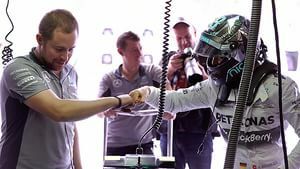 +1 Nico Rosberg: For eloquently dodging a ridiculous question from Nelson Piquet on the Brazil podium, there's a time and a place for your agenda, Nelson. +1 Lewis Hamilton: For not punching Nelson Piquet in the face during the podium "interview". +2 Daniel Ricciardo: Giving Felipe Massa's kid a great big disco dan hug, celebrating the home race podium. 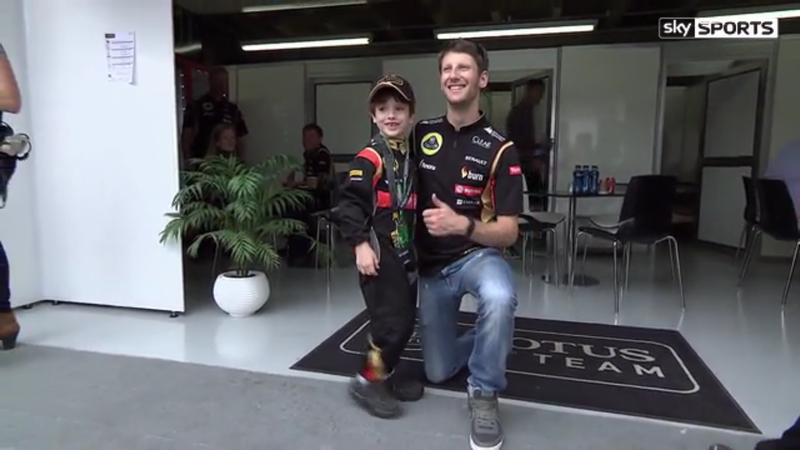 +1 Romain Grosjean: Great fan interaction, particularly if someone has bothered to dress up for the occasion.